Share Your Love of the Shooting Sports! As an NRA Certified Instructor, you can experience the personal satisfaction of teaching others the basics — the knowledge, skills and attitudes that will lead to a lifetime of safe, enjoyable and successful involvement in firearm and shooting activities. NRA Instructors provide an invaluable service in their communities by training hundreds of thousands of individuals annually. As firearm and shooting activities expand, and more Americans choose to exercise their right to carry a firearm, so too grows the need for these courses – and the Instructors to teach them! Since 1871, a major objective of the National Rifle Association (NRA) has been to provide Education & Training in the safe and proper use of firearms. Today, that objective is being fulfilled through the NRA Basic Firearm Instructor Training Program. Below are the different disciplines (ratings) currently offered by our NRA Certified Training Counselors at Heritage Shooting’s Training Services. The NRA is looking for new instructor candidates who enjoy working with people, want to share their firearm knowledge and skills with others, and are willing to make a commitment to teach NRA training courses in their communities. NRA Instructor training courses are conducted by our NRA Training Counselors. Training Counselors are active and experienced instructors who have been appointed by NRA to train other (new) instructors. Training Counselors will evaluate candidates’ performance based on their ability to handle the firearms with confidence, use of appropriate training aids, following the lesson plans and meeting all learning objectives, while utilizing the teaching philosophies expected of NRA Certified Instructors. Candidates can also expect to learn the NRA discipline specific instructional methods and evaluating and improving the performance of beginning shooters. NRA discipline specific instructor examination (minimum passing grade is 90%). Complete NRA Instructor Training Course – satisfactorily complete an NRA Instructor Training Course for the area of specialization you wish to teach (e.g., NRA Basic Rifle Course), and receive the endorsement of the NRA Training Counselor. Demonstrate Background in Shooting Skills & Firearms Safety – you must possess and demonstrate a solid background in firearm safety and shooting skills acquired through previous firearm training, such as completion of an NRA Basic Firearm Training Course, and/or previous shooting experience. If you have any questions, please contact us. Submit Instructor Application to NRA – submit your application with appropriate certification fee. Membership in the National Rifle Association is strongly recommended, but not required. Certified Ratings are available to individuals (21 years of age or older) who wish to be fully qualified to conduct basic courses. Assistant Ratings are available to individuals (18 years of age or older) who wish to assist certified instructors in order to gain the knowledge and experience needed to become a certified instructor. Apprentice Ratings are available to young people (13 to 17 years of age) who wish to understudy a certified instructor in preparation for more advanced ratings. The apprentice instructor will be chosen by an NRA Certified Instructor from select individuals. These individuals must be of the emotional maturity necessary to handle such a position. In addition, they must have attended and successfully completed an NRA Basic Firearm Training Course in their chosen area of specialization. Reporting training data to NRA. Knowing how to shoot is an important requirement for NRA Certified Instructors, but you will also need to know how to teach others to shoot. NRA Instructor Training Counselors and courses help you develop the additional knowledge, skills and techniques needed to organize and teach courses in the NRA Basic Firearm Training Program. Once you receive your certificate (suitable for framing) from NRA, you will receive your identification card. You will also receive a free subscription of the NRA Shooting Education Update, a newsletter published periodically for all NRA Trainers. Program information, training schedules, book reviews, material updates and more are provided. Additionally, the Update provides an open forum for the exchange of information and ideas on firearm safety and marksmanship education. Instructional Experience – All applicants must prove they have basic knowledge and experience in the field of instruction (teaching) to be accepted as a candidate for these courses. Shooting Qualification – Note that some courses have shooting qualification requirements. Those requirements will be provided to the candidates upon registration for the course. 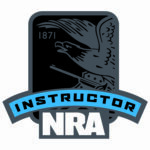 If you are interested in becoming an NRA Certified Instructor, download the Pre-Course Questionnaire, complete it, and mail it to the address on the form. Without a completed Pre-Course Questionnaire, you cannot continue in the process to become a NRA Certified Instructor! To ask questions about our NRA Certified Instructor Courses, click here. If you have an interest in teaching firearm safety and shooting skills to others, join America’s firearm training team! Become an NRA Certified Instructor!